Here’s a bit of news suited for two areas near and dear to our rental hearts: Apple has released a printer driver for printers Samsung, Brother, and those offered by Hamilton Rentals—HP printers. The HP Printer Driver v.2.7 is available for download in Apple’s iTunes—requiring Mac OSX v. 10.6.1 or later/OS X Lion on your MacBook or iMac. If you’ve been utilising a HP printer rental for some time with your Apple laptop or desktop rental (or in-house Mac-setup) and haven’t experienced any issues with performance, the update to the drivers likely isn’t necessary and can even alter your current configuration and increase the possibility that something will go wrong, according to Kessler. Further, should you require an update, you may not need to seek it out. Often the driver updates will present themselves within the automatic software updates OS X will scan for. If you’ve just received the printer rental, OS X will automatically download the drivers when the printer is installed. If you choose to hire a printer from Hamilton Rentals—you can simply sit back and enjoy the optimised functionality of the technology as an accredited engineer will test and install the printer into your infrastructure as a part of the company’s services. Whether it’s Apple hire services you seek, or a HP printer rental, Hamilton Rentals has a substantial hardware inventory to suit the needs of your organisation. Hamilton carries over 600 printers in its computer rental fleet with competitive low prices for short or long term rental. Contact us to learn more. Tech giant Microsoft has released a paper covering the use of rejected server heat to warm up your home. Now that is energy efficiency. According to the paper, “The Data Furnace: Heating Up with Cloud Computing,” small data centres can be used as boilers to heat homes. These so-called “data furnaces” would be enable homes to be connected in the cloud via broadband while also benefiting from the heat generated by the data centre. The numbers shown in the report indicate that around 2 percent of power usage in the United States comes from running servers and keeping them cool, while 6 percent is used to heat homes. The temperature of the exhaust air from servers is usually around 40-50 degrees—ideal for heating purposes in the home, office buildings, clothes dryers, water heaters, even with some usage in agriculture. “The energy budget allocated for heating would provide an ample energy supply for computing. Home heating alone constitutes about 6 per cent of the U.S. energy usage. By piggy-backing on only half of this energy, the IT industry could double in size without increasing its carbon footprint or its load on the power grid and generation systems,” says the report. By combining the two entities, the cost typically used to power homes and office buildings would be eliminated, thus offsetting the cost of running servers. Quite an interesting concept, and one that will surely be interesting to watch should our technology begin to move in this direction. 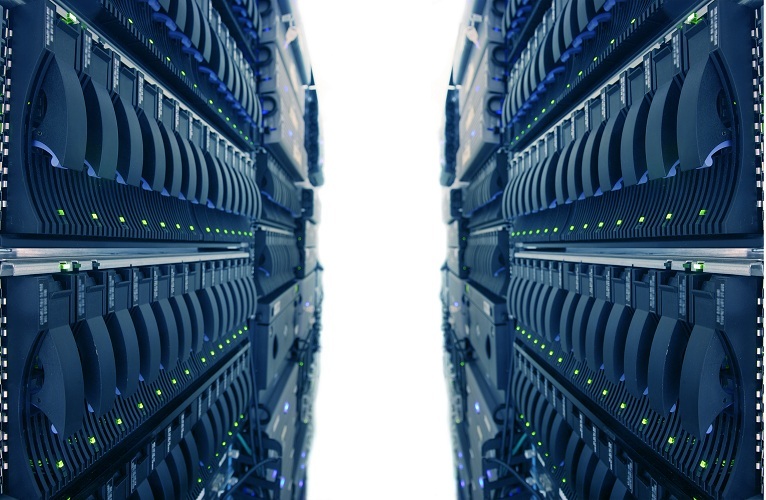 In the meantime, businesses looking to evaluate servers to put into their data centres before making the costly final investment can come to Hamilton Rentals to try out the model of their choice; whether their requirements are for a growing SMB or for an enterprise looking for an energy efficient model. Our team of experts are ready to help meet the configurations you seek in our server rental fleet, the largest in the world. So you may have noticed that we like to write iPads, and that would be for several reasons. Our customers love them, and so do we—not just because they pack all of the functionality of a laptop or PC into a compact tablet weighing just over a pound, but because there are continuous developments with new apps and accessories creating more opportunities for expansive use in multiple industries. The latest development for our multi-purpose tablet rental—Skype has officially released its iPad app to the iOS App Store. Whether you’re using the Wi-Fi at your local hotspot, or if you purchase a 3G data plan with your rental, you can start chatting away with your boss, employees—whoever. Also, Skype for iPad has further features beyond that of what is available for iPhone. 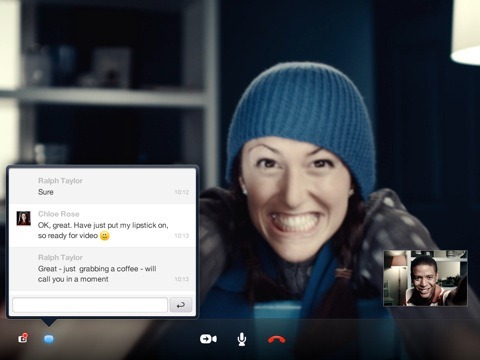 Beyond just video chat, you can also instant message your counterparts while simultaneously talking on a video call. Now you can download and use Skype on iPad AND iPad 2, although with the former—you’re face will remain hidden without the handy camera available on the newer version. But it’s still useful to receive video, or chat, if that’s what you’re into. Download Skype on your iPad rental and call anybody using Skype—whether that person be on a his or her laptop, or even an iPhone, as long as the device is running on iOS 4.0 or above. To learn more about video conferencing with your iPad, or if you’d like to use an iPad or iPad 2 for an event, trade show or other project, contact us at Hamilton Rentals. We’re the largest IT rental company in Europe with a massive fleet of tablets available for hire, and we ship internationally. When your business is operating in the enterprise, you need the best of the best, and that’s what you’ll get with Oracle’s Sun Sparc M9000 Server—the company’s highest performance enterprise server. With up to 64 processors and 256 cores, this beast is designed for mission-critical events and demanding deployments in virtualisation, consolidation and multi-hosting. Rest assured that the largest multiprocessor enterprise server is optimised for mission critical computing 24 hours a day, seven days a week with large share memory applications. Oracle guarantees the M9000 will deliver mainframe reliability and extreme scalability for the largest workloads. At Hamilton Rentals, where we provide the largest server rental fleet in the world, your enterprise business can get its hands on the Sun Sparc M9000 through several directions. If you’d only like to try out the enterprise server for the short term, or are dealing with budgetary constraints, consider renting the M9000. You can also rent the server as an alternative to costly support costs in the event of an outage—providing you with back-up insurance with extra capacity on demand. Want to keep the server, but can’t pay for it all at once? Our rent-to-own option lets you spread out your payments over a six or 12 month span. Can’t wait, need it now? Save money and avoid long delivery lead times by purchasing the server from us today. You can shave off some of the cost with your redundant IT equipment and trade for an upgrade to the M9000. To learn more about the Sun Sparc M9000 and our other latest offerings, contact us at Hamilton Rentals.